John R. Evans, 88 of Inkerman, passed away Friday morning, February 8, 2019 at Little Flower Manor, Wilkes-Barre, with his family by his side. Born in Wilkes-Barre, he was the son of the late Thomas and Sarah (Smith) Evans. John attended Wilkes-Barre Area schools and was an Army Veteran of the Korean War, serving in Germany. He was employed in the construction industry for many years, at Muskin Pools, Miners Mills, and last as a truck driver for Fetch’s Market, Wyoming. John was an avid bowler and bowled in the Tri Town Bowling League. He also enjoyed going to the casino, playing games on his Nintendo 64, and had a passion for hunting. He was preceded in death by his wife the former Betty L. Brown on March 17, 2015, brothers Thomas “Abe”, Ralph, William, and James Evans, sister Margaret Filipkowski, an infant sister, and niece Mary Ann Bonita. Surviving are his daughter Pamela Kalinowski and her husband Walter, Bear Creek, brother Richard Evans and his wife Dorothy, Wilkes-Bare, many nieces and nephews, and his K-9 companions Dolly and Ozzy. John’s family would like to thank Dr. Leonard Kuchemba, Dr. James Martino, Dr. David Greenwald, Dr. Robert Fiorelli, and the staff of Little Flower Manor for their compassion and wonderful care given to John. Funeral services for John will be held Tuesday, February 12, 2019 at 10:00 at the Corcoran Funeral Home, Inc., 20 South Main Street, Plains, PA 18705, with Deacon Donald Crane, officiating. Entombment will be held in Chapel Lawn Memorial Park, Dallas. Family and friends may call Monday evening from 6:00 to 8:00 pm at the funeral home. 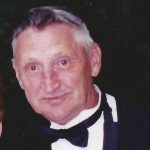 Memorial donations may be made to the Medical Oncology Associates Prescription Assistance Fund, 382 Pierce Street, Kingston, PA 18704 in John’s memory.